Optic engineering is that field of science that focuses on the various applications of the concept of optics. The engineers who pursue their graduation in this field are known as the optical engineer. The optical engineers have the responsibility of designing the components of the optical instruments like microscopes, lenses, telescopes, and various other equipment that uses the concept of the optics. The other devices that use the properties of light for their functioning are lasers, optical disc systems (such as DVD, CD), fiber optic communication system. As the role of the optical engineers is to design as well as build devices that use the light for some useful application. For that purpose, they are required to understand and apply all the science behind the optics in a good amount of detail so that they will be able to understand that what can be possibly achieved with the help of physics and chemistry. Along with that, they are also required to understand what are the things that are practically available for them to make any new device work, such as technology, design methods, costs, materials, etc. Similar to the engineers of another field, the optic engineers are also relied on the computers for performing their tasks. The computers are used for the purpose of simulations, instruments monitoring, designing, and for many other applications. The engineers also utilize computers for their general-purpose work such as using the spreadsheets, coding via programming language, along with that they also design the specialized optical software for their field. In the optical engineering metrology, the optical methods are measured for the micro-vibrations with the equipment such as laser speckle interferometer. It can also be used for measuring the properties of various kinds of objects by using the instruments that use the concept of refraction. 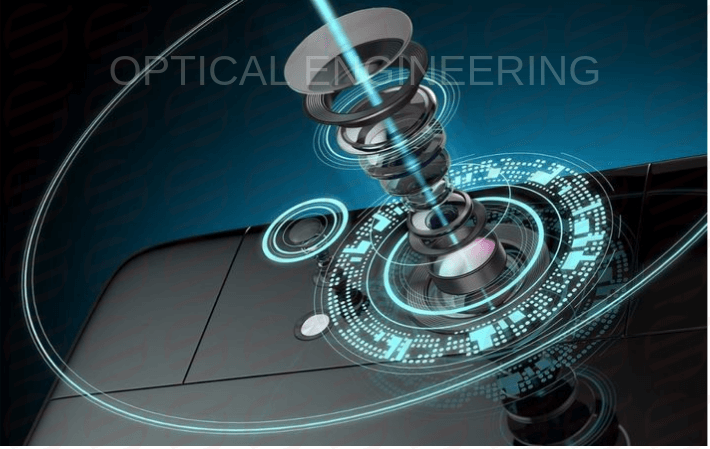 As it is known as optical engineering has been derived from the concept of optical physics, therefore, first of all, it is important for us to understand the optical physics. The optical physics can be understood as the study in which the concept of electromagnetic radiation, along with the properties of radiation and the interaction of radiation with the object is done, in this, the main focus is on the manipulation as well as controlling the radiation. The devices that are made in optical engineering helps the scholars and researchers to perform the basic research in the field of optic physics. The optical engineers or the electro-optical engineers are the ones who has a wide range of tasks and responsibilities on their shoulders. In their job role, they are required to perform research. They are one who performs the planning of the developing as well as designing gaseous and solid-state lasers, masers, infrared, and other light emitting. These engineers have a very specific job and they deal with the optical diagnostic; hence, they can also be involved in the laser surgery kind of work. the optical engineering is the mixture of engineering and physics, because both of these fields are imperious to this area. The optical engineers are the people who work in the all the areas where the concept of optics is used. They take the help from the different techniques so that they can design the lasers, create the fiber optics communication systems, build the telescopes, etc. Along with that, the primary role of the optical engineers is to design the electronic circuitry as well as optical components as per the specifications that are imposed on them. it is their responsibility to make sure the devices that they are making should be capable enough to perform the desired duties. The optical engineers do not only have the responsibilities of making sure that the electro-optical devices that they have made are working fine, but they are also involved in the testing procedures, for the equipment also. These engineers are also considering as the subject matter expert, and because of that, they are involved in the almost everything from the development of the specification to the designing of the devices and to the testing and analysis. it is because of their specialization and commands on this field, they are invited for the consultancy in every field.